The Madras High Court today refused to stay a Tamil Nadu government order, reserving 85 per cent of seats in MBBS and BDS courses for the state board students and only 15 per cent for those of the other boards. 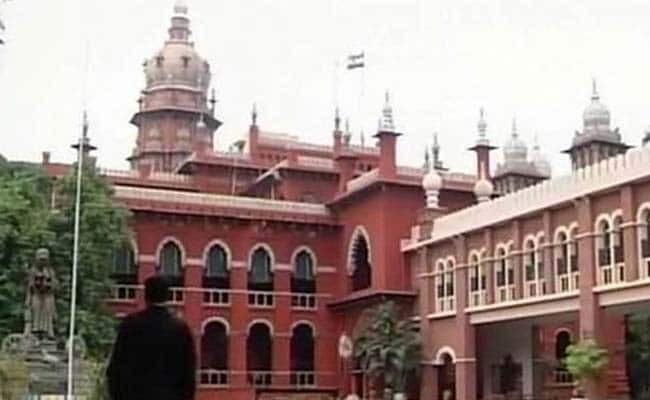 Chennai: The Madras High Court today refused to stay a Tamil Nadu government order, reserving 85 per cent of seats in MBBS and BDS courses for the state board students and only 15 per cent for those of the other boards. Justice Pushpa Sathyanarayana declined to grant any interim stay on the government's order while hearing a plea by one Darnish Kumar and two others, challenging the June 22 order. The bench, however, issued notices to the Health and Family Welfare Department's secretary, Medical Education's additional director, the Selection Committee's secretary and the Medical Council of India, seeking their stands on the plea by July 5. The petitioners submitted that the allocation of seats in medical colleges on the basis of the Board of Education has been frowned upon and quashed by the Supreme Court. The apex court has clearly stated that when admission is based on entrance examination NEET, it should make no difference whether the qualifying examination is conducted by the state board or Central Board of Secondary Education because no discrimination can be made between the schools affiliated to both the boards, they submitted. The petitioners further stated that once a common merit list is prepared for the purpose of grant of admission to MBBS and BDS courses based on NEET results, the only permissible reservation is in favour of students who have studied in schools situated within Tamil Nadu. Therefore, it is impermissible for distribution of seats on the basis of the school board and therefore such segregation of seats would amount to discrimination among students, he added.